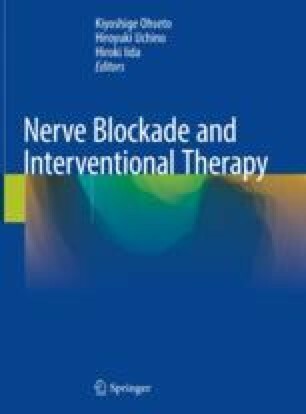 Percutaneous radiofrequency trigeminal rhizotomy (RF-TR) is the safe and effective method for the treatment of trigeminal neuralgia. In RF-TR Gasserian ganglion is punctured via foramen ovale under X-ray monitoring; neuralgic pain is removed by partial electrocautery of the ganglion. The pain-free period normally continues 2–3 years or sometimes more after RF-TR. During the pain-free period, the patients are able to stop taking oral medication such as dizziness-causing antiepileptic agents. Since this technique has nerve destruction aspect which brings about unpleasant facial numbness and masseter weakness, highest consideration should be paid in selection of the candidate.